U.S. cumulative vehicle travel is up four percent in the combined first two months of 2015 when compared to the same time period last year. 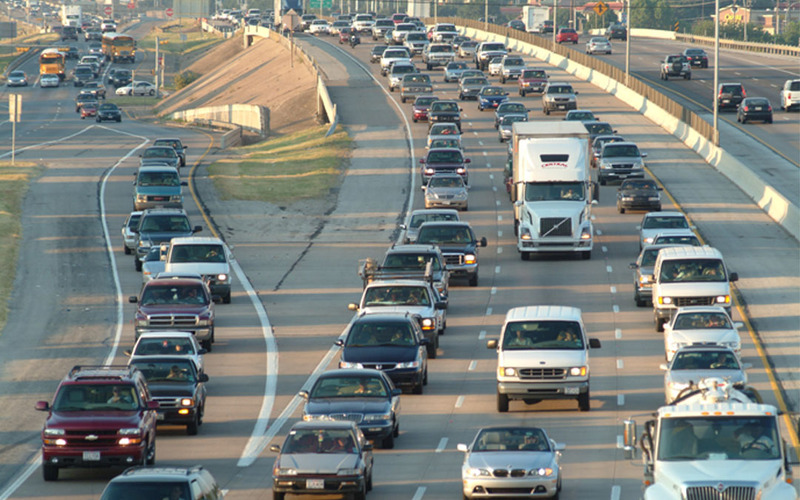 The latest Federal Highway Administration (FHWA) report on U.S. automobile traffic volumes shows an estimated 221.1 billion vehicle miles traveled (VMT) in February 2015. This is an increase of 2.8 percent—or 6.1 billion vehicle miles—when compared to February 2014, and the 12th consecutive month of growth in the nation’s VMT. All five regions of the U.S. saw overall growth in VMT. The February 2015 report includes information on seasonally adjusted VMT. When compared to the previous month using the seasonally adjusted data, there has been a slight decline of 1.2 percent in VMT. The seasonally adjusted data also shows a 2.6 percent increase for February 2015 when compared to February 2014. Oregon exhibited the most growth of any state in the U.S. with a 13.3 percent increase in comparison to the same month last year. “As traffic volume continues to grow nationwide, so does the need for greater federal investment in our highways and bridges,” U.S. Transportation Secretary Anthony Foxx said in a release.